Each year LERN and many other business shifts from one fiscal year to the next. FY17 starts for LERN on July 1, so we are wrapping up FY16. 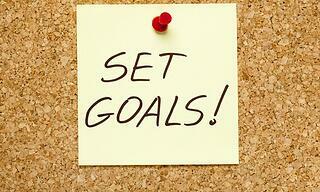 At the start of the fiscal year is a good time to set personal and organization annual goals. 3-7 goals is best and they should be goals that can be measured. I have set my personal goals and this week the LERN Team will be reviewing FY17 goals. I am excited about wrapping up FY16 and transitioning into FY17 with a very talented and hard working LERN Team.